Michael Spieler is the owner and President of Sherpa Financial Advisors, Inc. Preferring to focus on personal finances and working directly with clients, he left corporate America where he had spent 14 years in finance and marketing. Eleven of those years he spent working for Ingram Micro Inc., the global leader in distribution of technology products and services, where he held positions in the U.S. and worldwide treasury departments and the U.S. marketing department. Michael has earned his Certified Kingdom Advisor® designation, completed the Certified Financial Planner (CFP) education requirements, earned his Series 7 and 66 Registrations from the Financial Industry Regulatory Authority (FINRA), and his California Life and Health license. 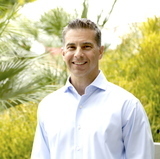 He is a member of the Orange County Financial Planning Association and Kingdom Advisors. Michael received his MBA from Chapman University in Orange, California in 2001. He earned his undergraduate degree in 1991 from California State University at Fullerton, receiving his B.A. in Business Administration with an emphasis on Financial Management. Michael serves on the six-member Strategic Advisory Council, a group of experienced independent advisors that meets throughout the year to provide SFA’s leadership team input and strategic direction from the point of view of the advisor. Michael and his wife, Kristin, have been married since 2003 and have two daughters and one son. Michael’s outside interests include cooking, golfing, playing softball, exercising and reading. Michael is active in numerous charitable organizations, including Safe Families, Krochet Kids Peru, Show Hope, Focus On The Family, and Compassion International, and also teaches premarital classes and mentors newlywed couples at his church.